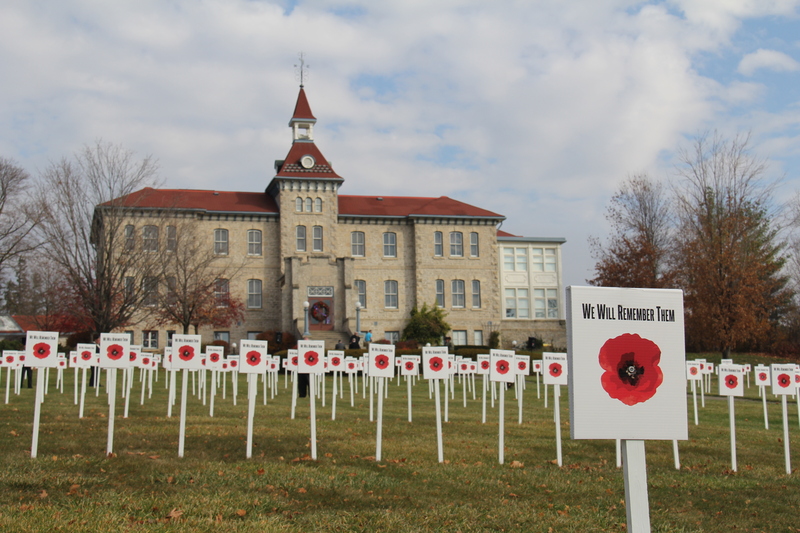 November 11th – Remembrance Day is honoured in many ways locally each year and if you find yourself in Fergus or Elora over this weekend, we invite you to take part in our many events. 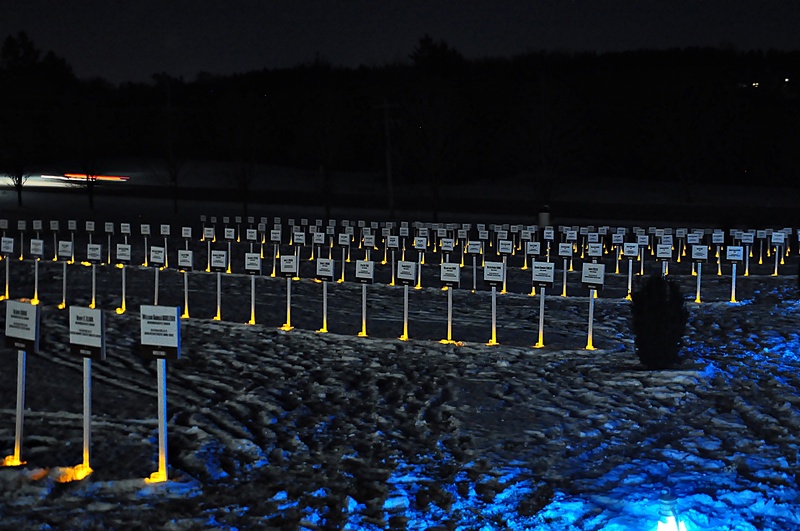 Without a doubt, the most spectacular display to honour our fallen takes place on front lawn of the Wellington County Museum and Archives. In partnership with our local Legions, we honour the 526 fallen from Wellington County. Those who died in the First World War, World War Two, Korea and Afghanistan are remembered with a marker on the front lawn. This informal and poignant tribute takes place at dusk on November 10, (5:30pm) and the candles will remain lit until November 12. Candles are provided by the Museum and everyone is encouraged to attend. 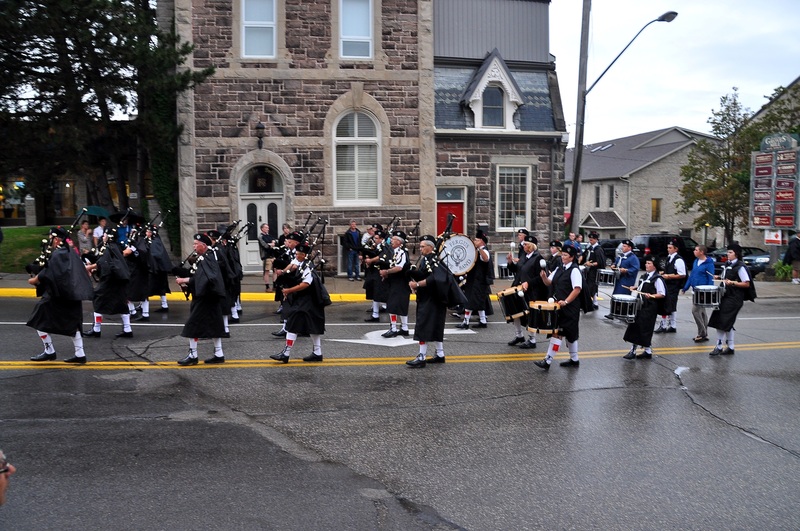 Early on Sunday, November 11th, members of the Fergus Pipe Band will be taking part in the 100th Anniversary of Armistice by performing at the Fergus Legion. At 6am pipers will perform the piece Battle’s O’er to commemorate the end of World War One and pay tribute our fallen. All our welcome to start the morning of Remembrance with this important event. Elora – Remembrance parade Nov. 11 starting at 11am, followed by a ceremony at the cenotaph in front of our municipal offices. 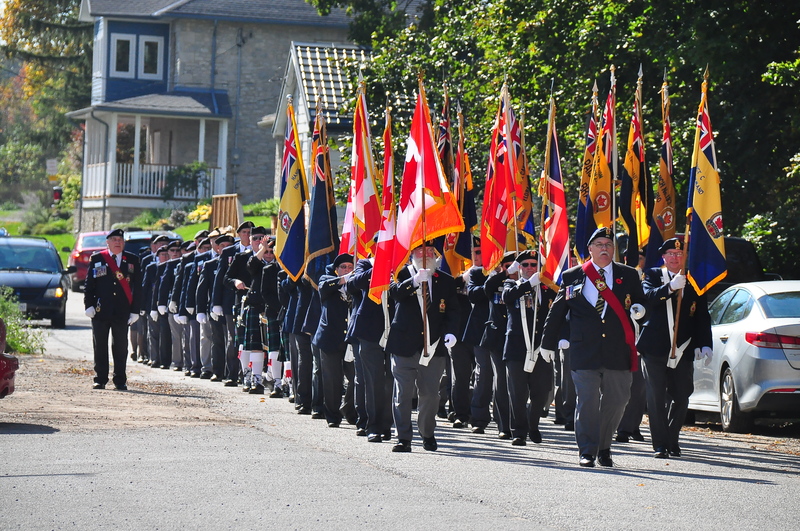 Fergus – Remembrance parade Nov. 11 starting at 10:30am, followed by a cenotaph service. Salem – Remembrance parade, Nov. 11, starting at 9:30am; with a service at the cenotaph. On Nov. 11 1918, after four long years, the guns had fallen silent. In their place, across Canada church bells rang out to share the news that the Great War, regarded at the time as “the war to end all wars,” was finally over. To commemorate the occasion, The Royal Canadian Legion, in partnership with the Government of Canada, is encouraging all communities across the country to participate in the Bells of Peace initiative. 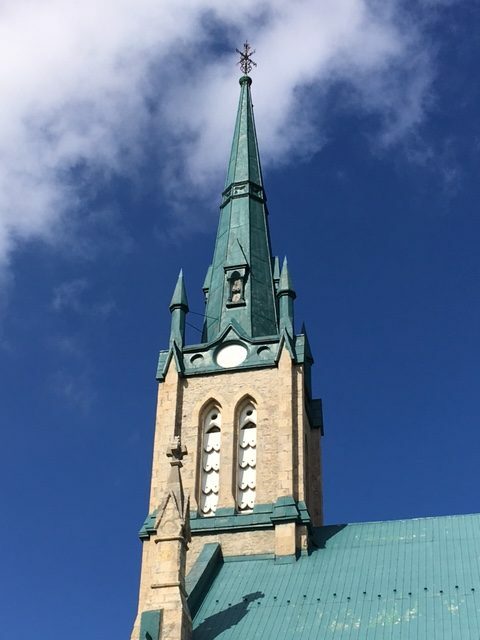 Elora – Knox Presbyterian Church will ring its bell on Nov. 11 at dusk. The Legion is awaiting confirmation from other churches in Elora. Fergus – The Fergus Legion will ring the bell from the WWII corvette HMCS Fergus, usually on display in the club hall, in front of the Legion at 5pm on Nov. 11. St. James Anglican Church will also ring their bells. Photo credit to Bill Longshaw and Olivia Rutt.